The BICS sports teams came out victorious last night, Friday, September 12, 2009. The soccer team had an all out steam roller effect on the Hannahville Soaring Eagles in the first half, but their competitors came back fighting in the second half. The score might not reflect the change in the desire of the Hannaville team, but there was a major difference in the second half. BI won the soccer game 8-0. The volleyball team got off to an excellent start by winning the first two games. Then, something happened, just like in the soccer game earlier. The Soaring Eagle Ladies began a come back and put the pressure on the Islanders. The Soaring Eagles won the next two games causing a tie breaker game to 15 points. The Islander were able to put it all together with some excellent serving by 8th grader Olivia Cary at the beginning of the game which inspired the rest of the team on to victory. The Island volleyball team started playing at 8:30 a.m. on Saturday, September 12, 2009, and once they started, there was no stopping them. They breezed through the three straight game win without too much trouble at all, not that there weren't some exciting spots. The Lady Islanders' game today will not help them in the league standings unless the scheduled game at Hannahville is canceled due to the weather. Congratulations, Ladies, on an excellent start to your season! The Islander Soccer team played on Saturday morning also, after a short time for players of both sports to get stretched out. Other players not playing volleyball also needed time to warm up. The Islander Soccer Team had a little more difficulty today against a somewhat improved Hannahville Soaring Eagle team. The Islanders had several problems with the "off sides" rule, which seemed to deny them several more goals. The Hannahville Soaring Eagles seemed much more inspired this morning than on the previous evening. The ball spent more time down on the Islanders defensive side of the field this morning as well. The score does not explain the much improved Eagles performance with a different goalkeeper. The score was 7-2 with the Islanders defeating the Soaring Eagles. 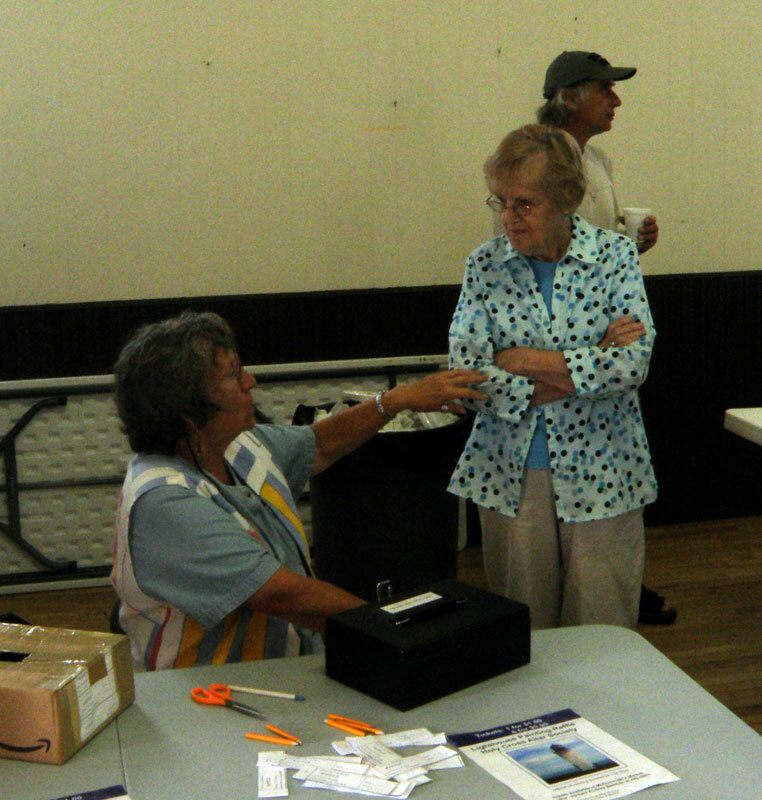 The emotions flared many times during the Peaine Township Meeting of Wednesday, September 9, 2009. The township lawyer's expertise was questioned several times during this meeting, and several committee members from the Airport Committee were becoming upset as well. The documents from this meeting will be made available for those that do not have the ability to view the videos. The video clips of the meeting are being prepared and should be available in the next day or so. (It is Friday at 4 pm now.) With over 160 minutes of video to view, then select, edit, convert and upload, it may take a few more hours than usual. After eight hours of work on this project, it's time to take a break and get to the BICS Soccer and Volleyball games. Even if you cannot view the video clips, you can read the titles to get an idea of what happened at that meeting. Adam Richards is an experienced teacher from Wyoming, Michigan, who graduated from Grand Valley State University with a B.S. 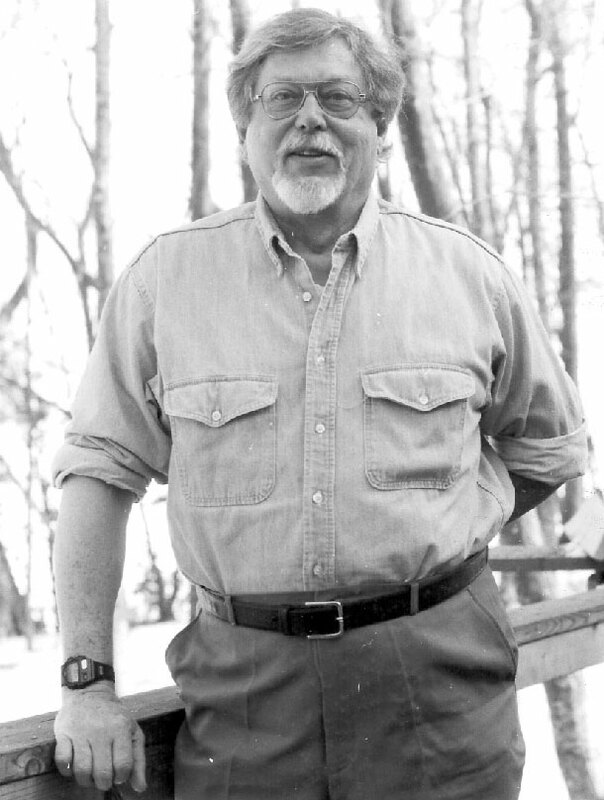 in 2003. He obtained his Masters in Teaching from Aquinas. 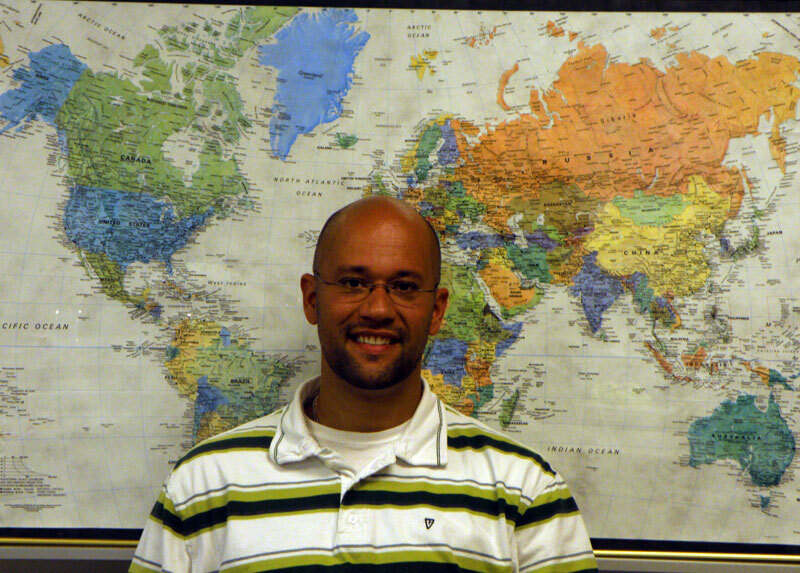 He is teaching social studies in grades 7-12. Not content to paddle just the 85-mile distance, Ken Bruland paddled back out to Penny Island, almost connected to Government Island in the Les Cheneaux Islands. This actually means that Ken will have paddled at total of 97 miles on this trip when you add his 6-mile paddle back to Penny and his 6-mile paddle into Prentiss Bay for the Cedar Campus, which is the location of the kayaking symposium. At the parent meeting of the Beaver Island Sports Boosters last night, Wednesday, September 9, 2009, Dianne McDonough passed the baton across the table to the new officers: Kathy Maudrie, President; Judy Boyle, Vice-president; Kerry Smith, secretary; and Teresa McDonough, treasurer. The meeting last night was a meeting of the parents and confirmation of officers. Dianne McDonough was thanked for almost 10 years of service to the Beaver Island Sports Boosters and for her dedication to the sports programs at Beaver Island Community School. Dianne said, "It will be hard to just sit back and let someone else take over, and it is definitely going to be different. My kids keep asking me what I am going to do next with my extra time?? I really enjoyed what I did, what I accomplished, and the support of the community and the other parents." 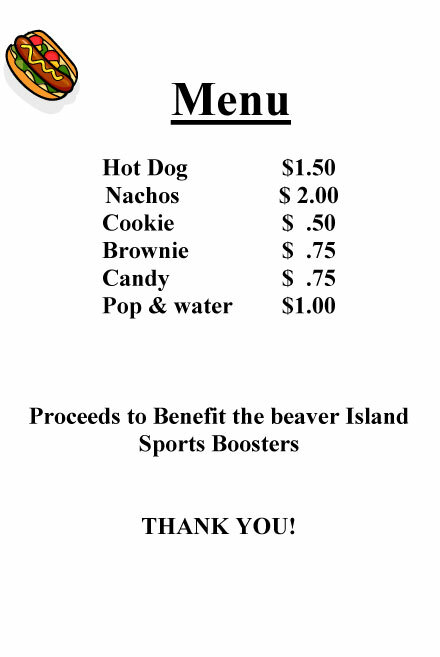 There will be concessions available at the home games for those that come out to support our Beaver Island athletes. 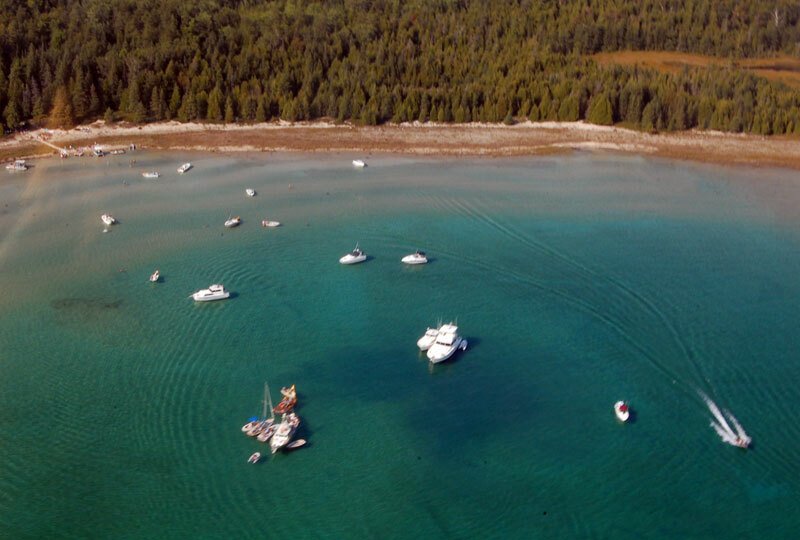 This October 3 will be the 9th year for the Bite of Beaver Island Food Festival, an event that gets bigger and better every year. The morning starts out at 10:00 a.m. with the Island Boodle , a 5K Run and Walk, with a course laid out along Paradise Bay. The participants receive t-shirts, refreshments and prizes after the race. And even non-racers have a great time cheering on the runners. 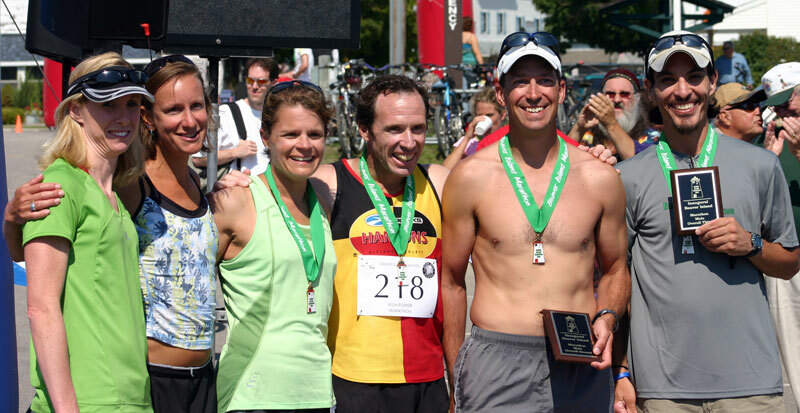 Registration forms are available at the Chamber office or online at www.BeaverIsland.org or at the Beachcomber the day of the race, beginning at 8 a.m. All proceeds benefit the Island's Sport Boosters. 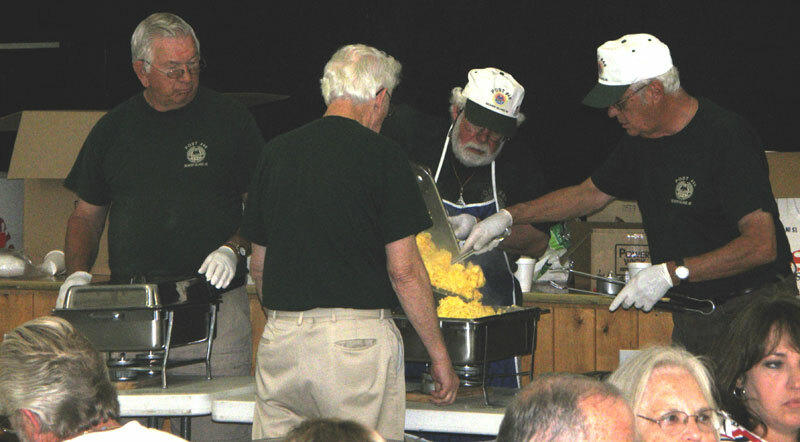 The doors open at 1:00 p.m. at Holy Cross Hall for the Bite of Beaver Island Food Festival. Specialty items from both amateur and professional chefs will be there to sample for responsible prices – chef entry forms at Chamber office or on line. The Apple Pie contest will have contestants vying for prizes and the crown of “Apple Pie Queen” (or King). Entries should be dropped off at the Hall kitchen between 10 a.m. and 1 p.m. (please put your name on the bottom of the pie plate). 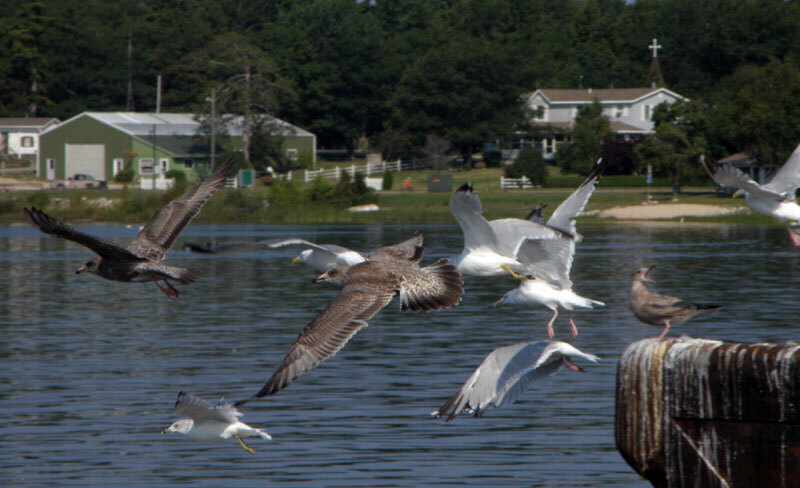 A group bike ride will begin at 4:00 p.m. at the bathing beach. Bike riders can join the fun for all or part of an 8 mile or 14 mile circle ride. Per mile pledges to benefit the Sports boosters will be gratefully accepted. 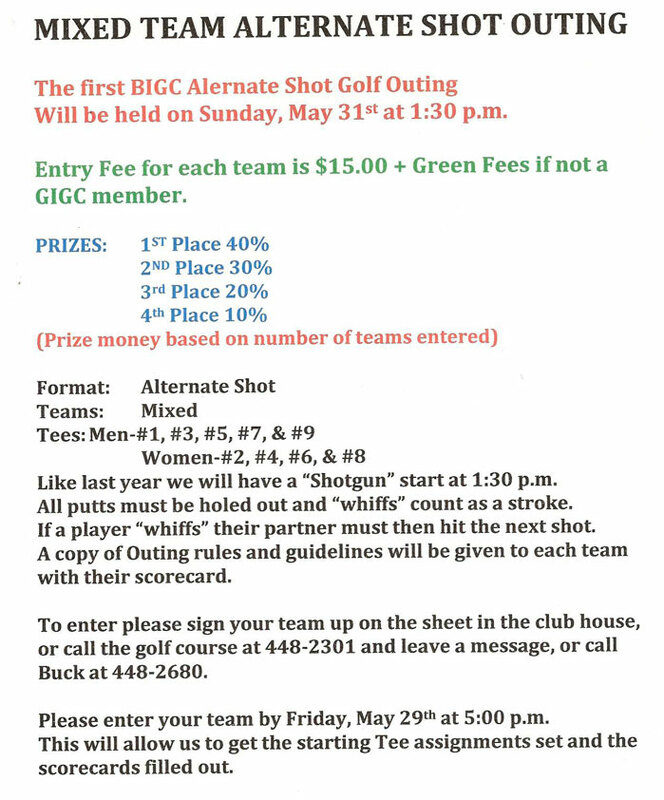 For more information on the bike ride, contact Linda Frysinger at 231-651-9618. 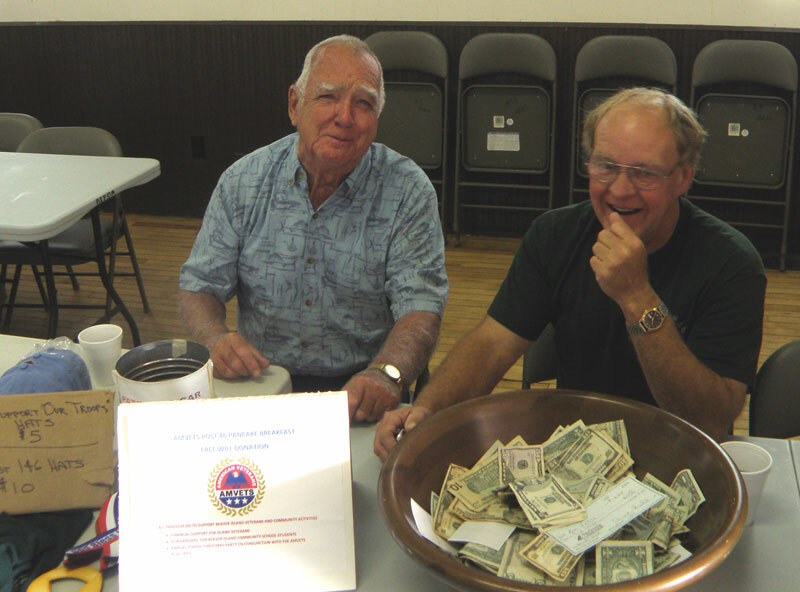 The Beaver Island AMVETs held a breakfast on Sunday morning, September 6, 2009, at the Holy Cross Hall from 8 a.m.-noon. As always the food was wonderful, delicately served, and in the style of a smorgasboard. 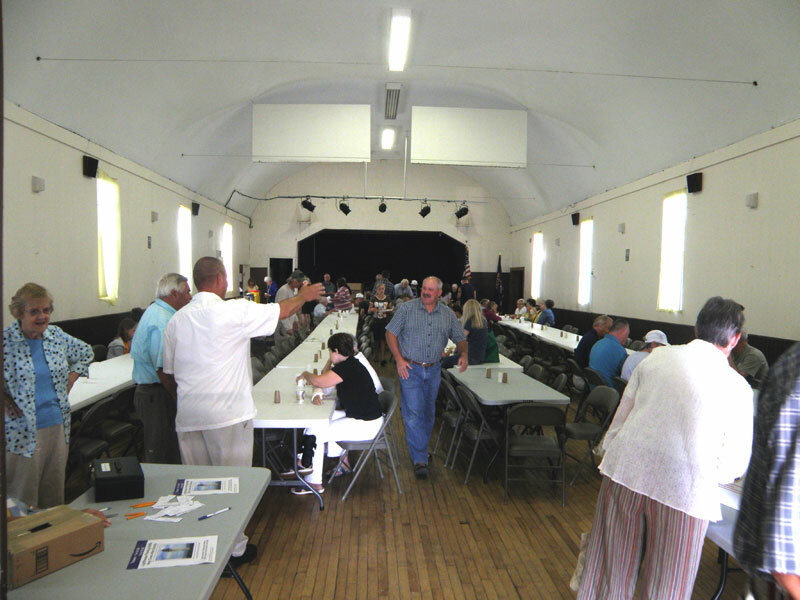 Ron Stith reported that there were 300 adults with no count on the kids below 5, about 100 more than last year's Labor Day breakfast. 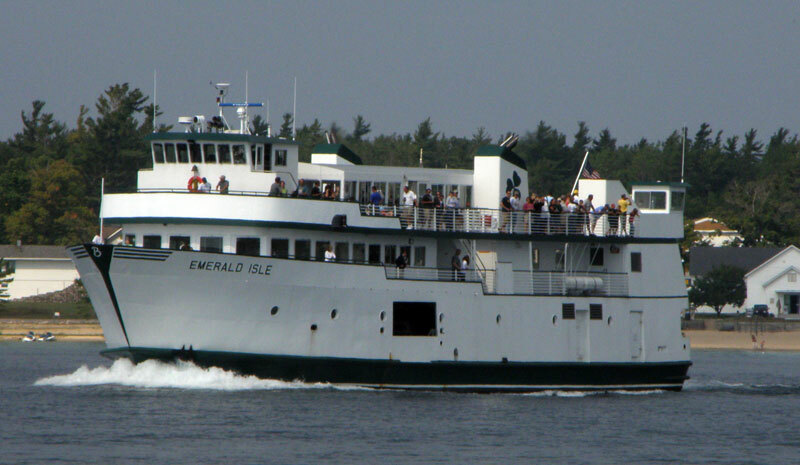 Both ferry boats left the Island Sunday morning between 11:15 a.m. and 11:45 a.m. with 115 passsengers on the Beaver Islander and 189 passengers on the Emerald Isle. 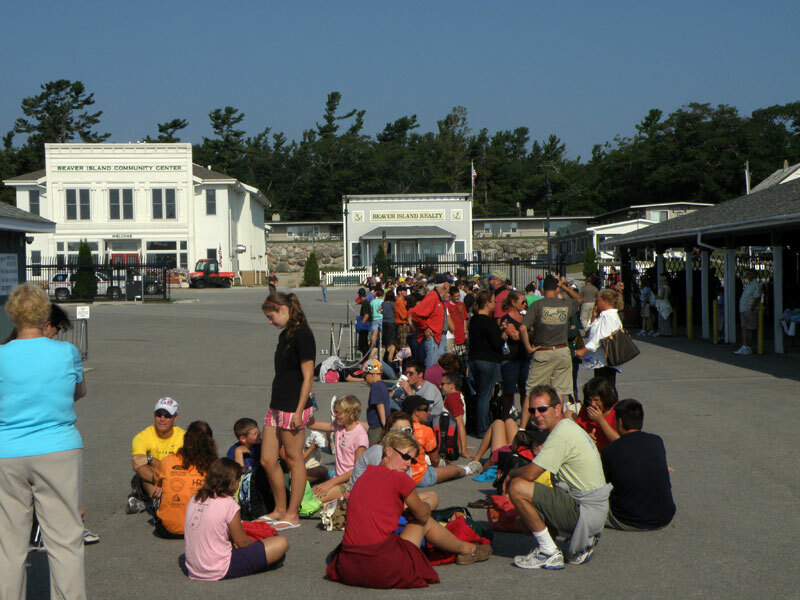 The prospective passengers were lined up beginning as early as 10 a.m. making sure they got on the boat. These were the lines at about 11:20 a.m. The Board of Directors of the Beaver Island Chamber of Commerce would like to say a great big Thank You to the Island community for your outstanding support of the first Beaver Island Marathon. 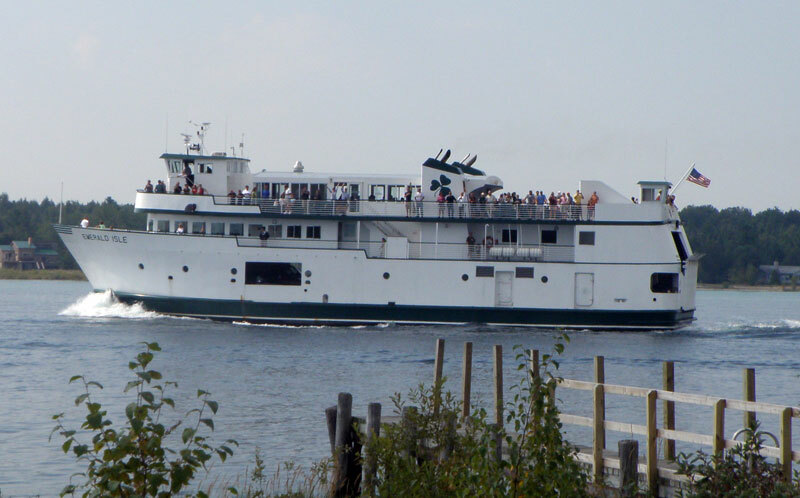 We believe that the event was responsible for $250,000 or more in economic benefit to Beaver Island. 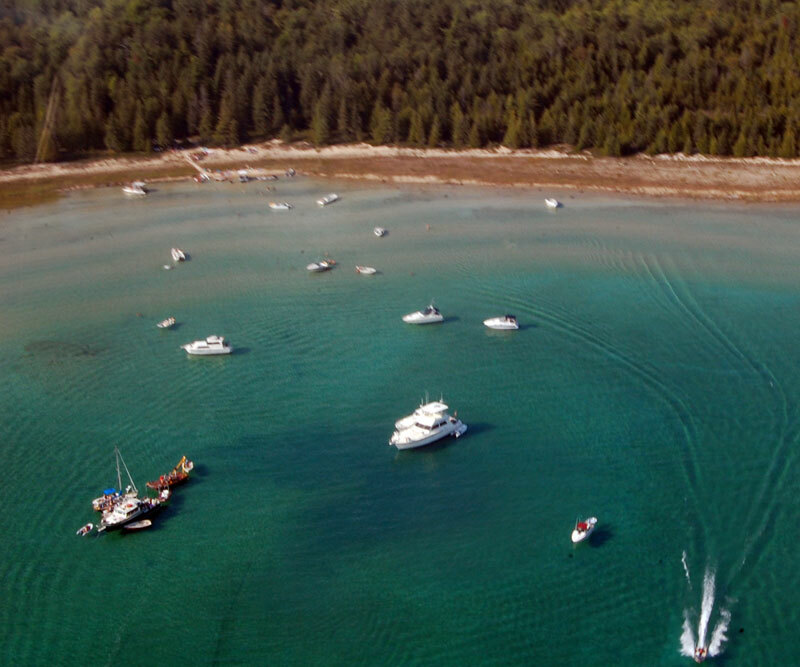 The very first post race written comment from one of the marathon runners says in part, “I'm definitely going back (to Beaver Island) and bringing my family for a vacation.” We know that when folks experience our Island's legendary hospitality many return time and again. 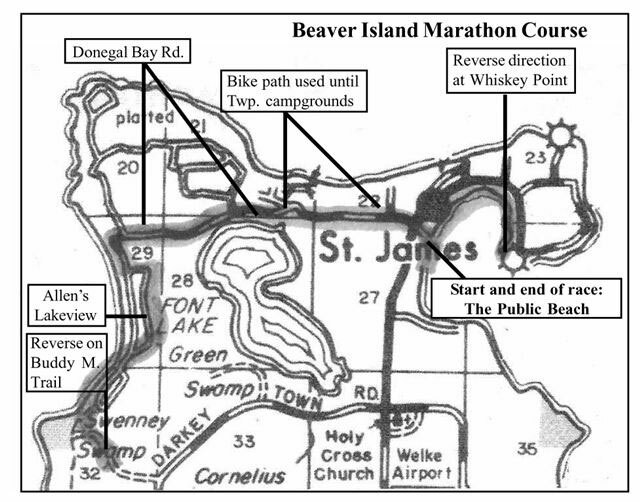 This first marathon will pay dividends to Beaver Island for many years to come. 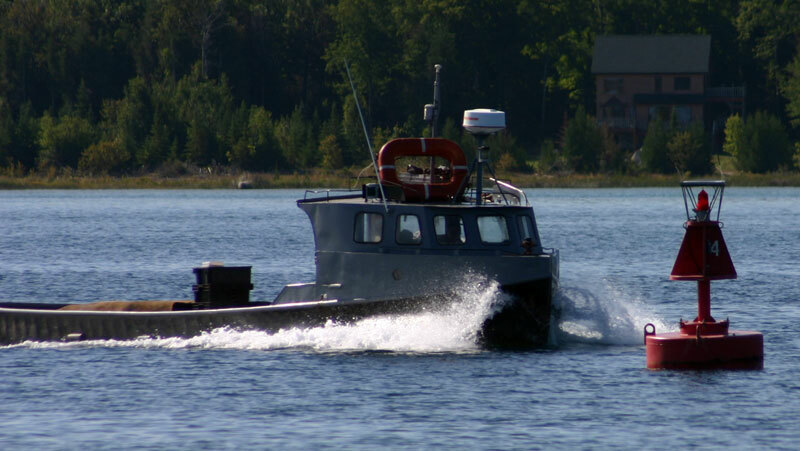 Thank you to our other sponsors: Beaver Island Boat Co, Island Airways, Fresh Air Aviation and McDonough's Market. A thanks and well done is in order for the professionals at Good Boy events, the event promoter. 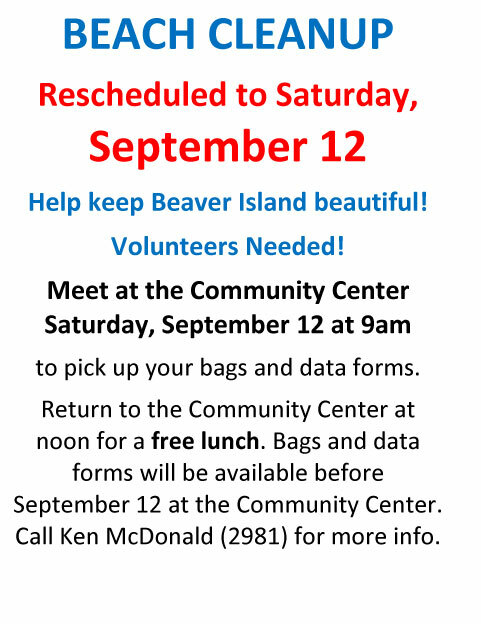 Once again thanks to more than 100 Beaver Island volunteers who made it happen. Your hard work and support was a key to success. Planning is underway for a marathon next year. Your comments and suggestions are welcome and can be sent to: Chamber@BeaverIsland.org or PO Box 5, Beaver Island, MI 49782. Everyone who participated should be considered winners, but those that were the men's overall winners were: Rich Power 218 from Rochester won first place, Phil Kauppi 185 from Mt. Pleasant won second place, and Christopher Braun 157 won third place. 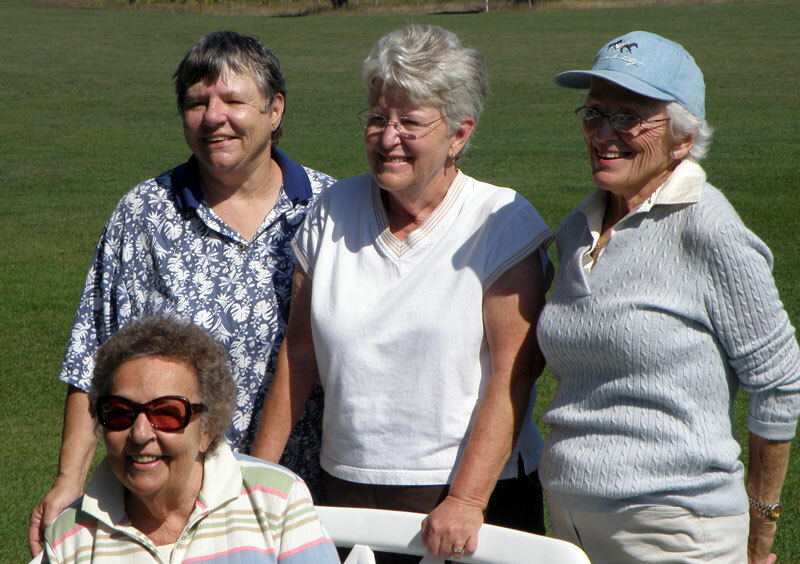 The women's overall winners were: Karen Kirt 188 from Lake Leelanau won first place, Stacey Roberts 223 from Leland won second place, and Jobie Neucks 208 from Holland won third place. Male over forty winners were: Bill Fix 166 from Comstock Park won first place, Ron O'Connor 211 won second place, and Ron Gregg 175 from Clarksville, TN won third place. He was also 8th in the whole marathon. (Ron is in bold because he was raised here on Beaver Island.) In the female over forty group, the first place finisher was Michelle Randazzo 219, followed by second place Kathryn Williams 246, and third place Mimi Ransick 220. 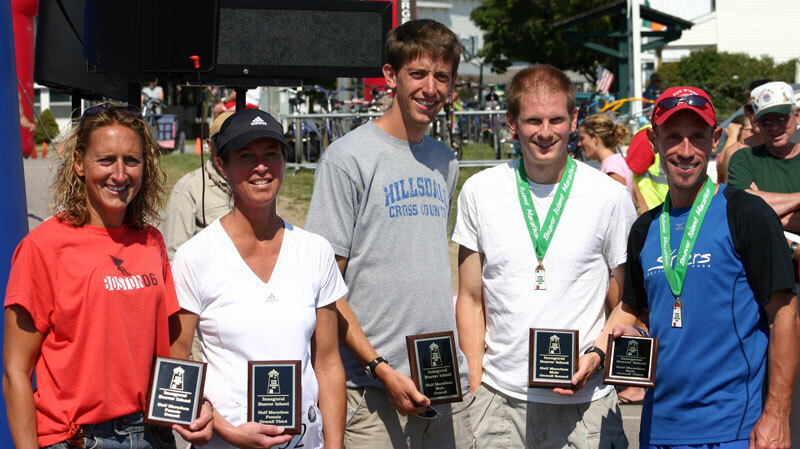 The 5K male winner was Robert Havemann from Hudsonville. The 5K female winners was Cheryl Geisthardt from Mt. Pleasant. The half marathon male overall winners were: Nicholas Liversedge in first place, Bob Teutsch in second place, and Daniel Scott in third place. The half marathon female overall winners were: Debbie Lenters in first place, Erin Patton in second place, and Cindy Tomalka in third place. Have you ever started a book that you just cannot put down? Or been involved in a project a work, church or at home that is so intense that you cannot quit thinking about it? 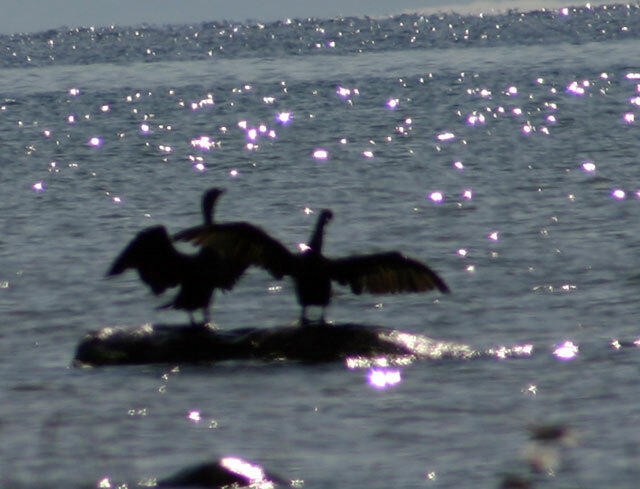 That was me when the plans began for the marathon on Beaver Island. When a runner chooses an event to race it is a huge decision and huge investment: physically, emotionally and financially. This investment and risk is magnified when taken on an inaugural event...and on an Island no less. 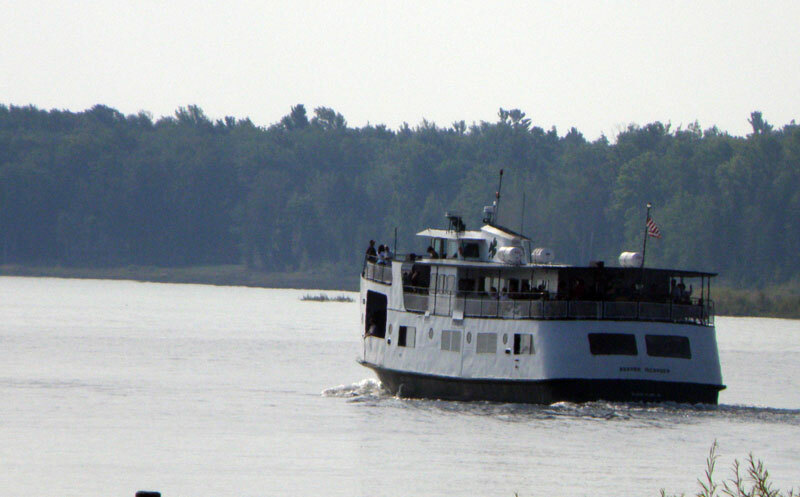 I was reasonably confident the runners would love the course, would enjoy the boat ride and would receive a warm Island-style welcome upon arrival. However there is so much more involved and I did not want to be wrong when the runner is making such an investment. 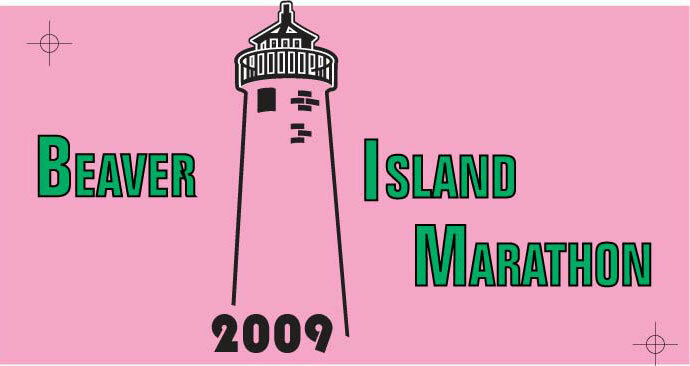 When I was told the Island had formed a "Marathon Committee", my confidence started to build. After attending my first meeting with the committee, I was told by a member “The residents of Beaver Island are very resilient and we will help make this event happen”! Thanks to the many volunteers, the Chamber of Commerce, McDonough's Market, the EMS, the medical center, the Marathon Committee, the AMVETS, the Beaver Island Boat Company, the various Church Groups, the Sports Boosters, the airlines, Steve and Elaine West, Diane McDonough, Bill and Tammy McDonough and everyone else that came out to support this event. The event would not have been the success it was without your passion and hard work. Wall Street will tell you that there is a parallel relationship between risk and reward: The greater the risk, the greater the reward. The theory applies to events as well. The athletes took a risk on a first time event on an Island they may have never heard of. They are now realizing their reward in the form of an amazing experience that they may never forget. 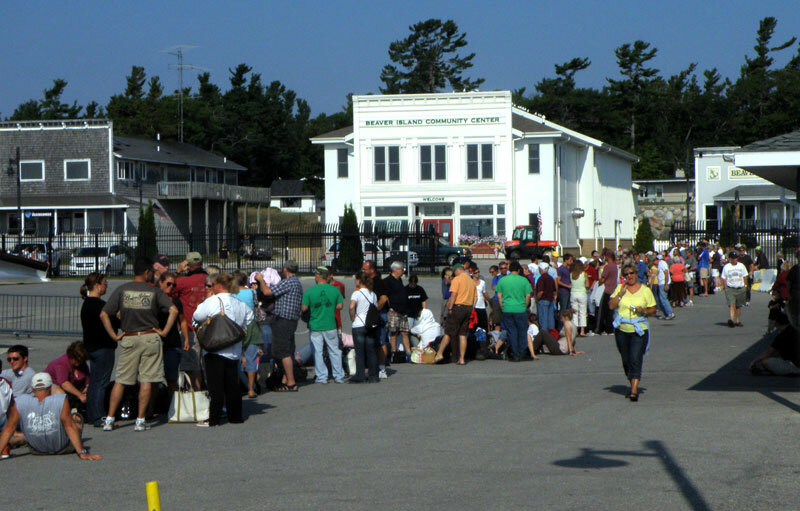 There were a lot of Islanders leaving Beaver Island for a Garden Island Party on Sunday, September 6, 2009. 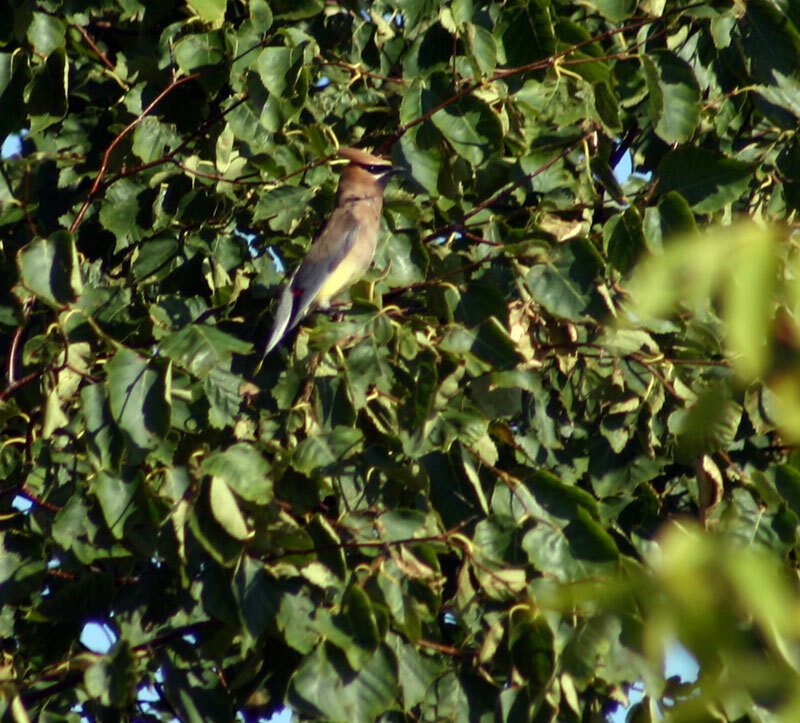 The Garden Party has become an annual event to celebrate the end of summer, the return to school, and the return to work getting ready for winter. Thanks to Julie Sommers for the photos below (from the air) of Garden Island boats! Thank you's to Buck Ridgeway for this information! The Standings remained the same in the top 3 spots following Wednesday's play, but the 4th and 5th place teams switched places and the three teams in 6th, 7th, and 8th place moved around with the 7th place team moving to 6th, the 8th place team to 7th, and the 6th place team dropping to 8th.